Feature-rich solutions enhance an undeniable status presence. 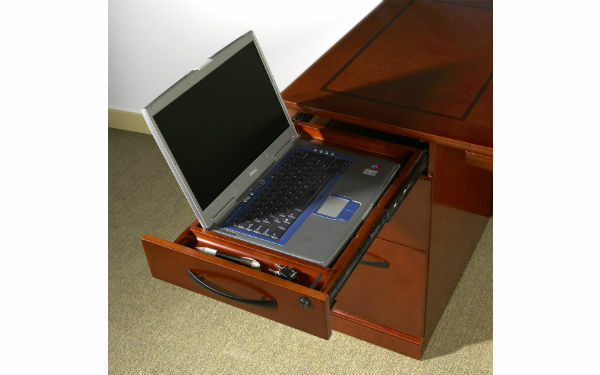 Expertly matched wood veneers, leather lining on select drawers and trays, and a bevy of storage options. These are just some of the features that make Sorrento so appealing to discerning tastes. The series can be both modern and sophisticated combining multiple species of AA-grade North American hardwood veneers into an elegant offering. From an impressive executive suite, to complete conference solutions and a commanding reception station, Sorrento delivers affordable style most admirably. Ensure a high-end look thanks to some striking details. Choose Bourbon Cherry finish on cherry veneer with its stunning Bird’s-eye Maple inlays to create a traditional look. Or specify Espresso finish on Walnut veneer with frosted glass and brushed silver accents for a more modern aesthetic. Espresso hutches and wall cabinets also feature frosted glass doors, while those same solutions in Bourbon Cherry have wood doors. Get standout quality and affordable luxury. Sorrento’s craftsmanship is evident in the multi-species hardwood veneers and the rock-solid structure which gives exceptional value for the cost. 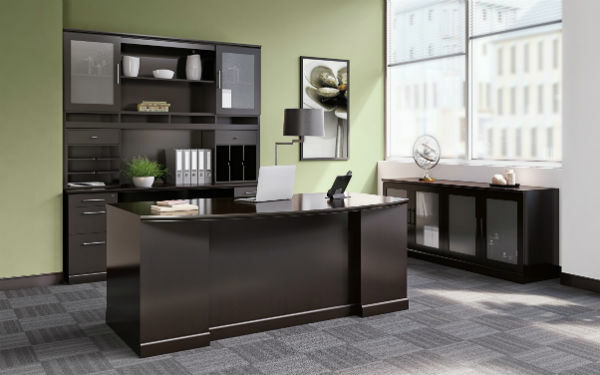 Choose conference tables and accessories that impress. 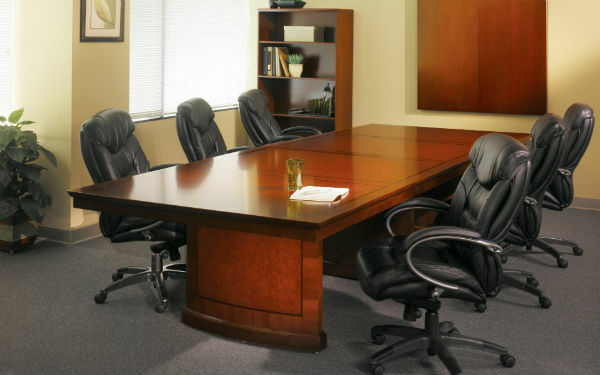 Sorrento conference tables are modular and fit requirements from 6’ to 30’. Pedestal bases route cords and conceal floor outlets. Boat-shaped tables are available in Espresso finish, while rectangular tables are offered in Bourbon Cherry finish. Or choose a 48” round table. Matching presentation boards and storage options enable a complete conference solution. 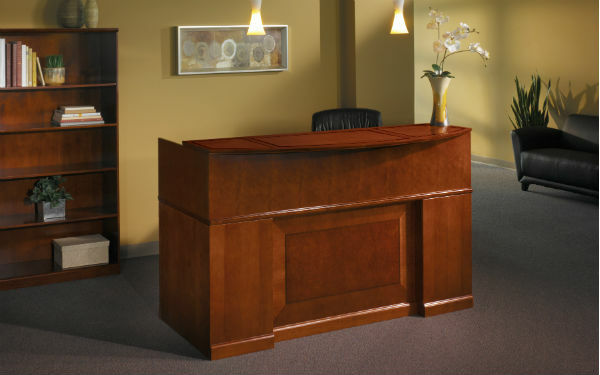 The Sorrento Reception Station is available with a veneer or black granite counter.